Talking Heads is another older band that was nevertheless still a part of my teenage years. Several of their songs were played regularly on Live 105 in the 90s. 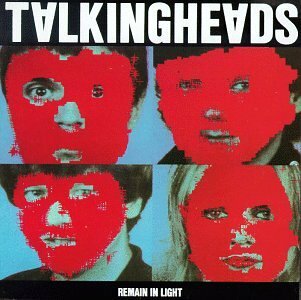 In college I decided I should dive into their work, so I bought what seems to be their most famous album, as far as number of Rolling Stone mentions – Remain in Light. These days I don’t think Remain in Light can be appreciated for how bizarre and groundbreaking it must have been back in 1980. It could be released today and I think it would still find a place and would sound modern. Once in a Lifetime has been used in a movie at least once in the last couple of years, if that’s any indication of its relevance. I can also hear the Velvet Underground influence as plain as day in songs like Houses in Motion. I love it when that happens.